Who are we? It was all a dream, we use to read “Word Up” magazine…. just kidding! 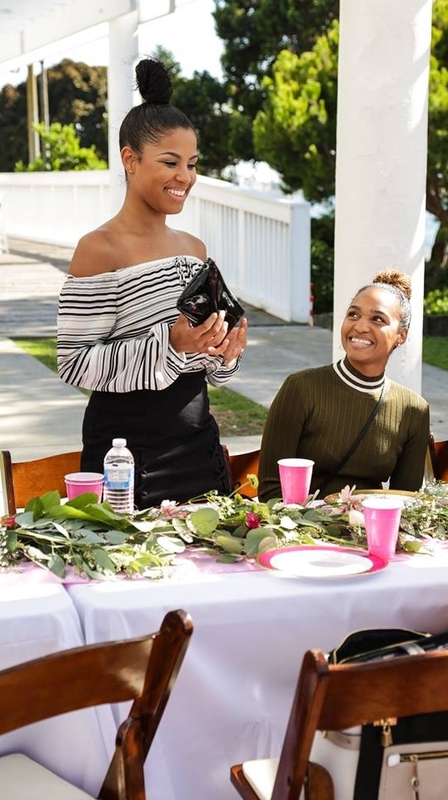 Two sisters, both completely opposite (Courtney, a curly-head, gym loving, wife that is always on the go and Kaylin, a faux fur wearing, FIDM graduate that can’t say “No” to a good champagne-filled brunch and shopping spree), brainstormed ideas of how they would bring a vision of owning a boutique to life. With separate interests, they struggled with a concept that could fit both of their personalities. After many conversations and disagreements (”I never disagree with my Sister”-said, no Sister ever!) they discovered that Rock & Ritzy perfectly describes us as a whole and as individuals. It also describes the WOMAN who has an intense work ethic, while staying fit and fly. Each item is handpicked for the women who are solid as a Rock and stylish as a Ritz. Our journey is just beginning but we can assure you it will be an adventure you don’t want to miss!